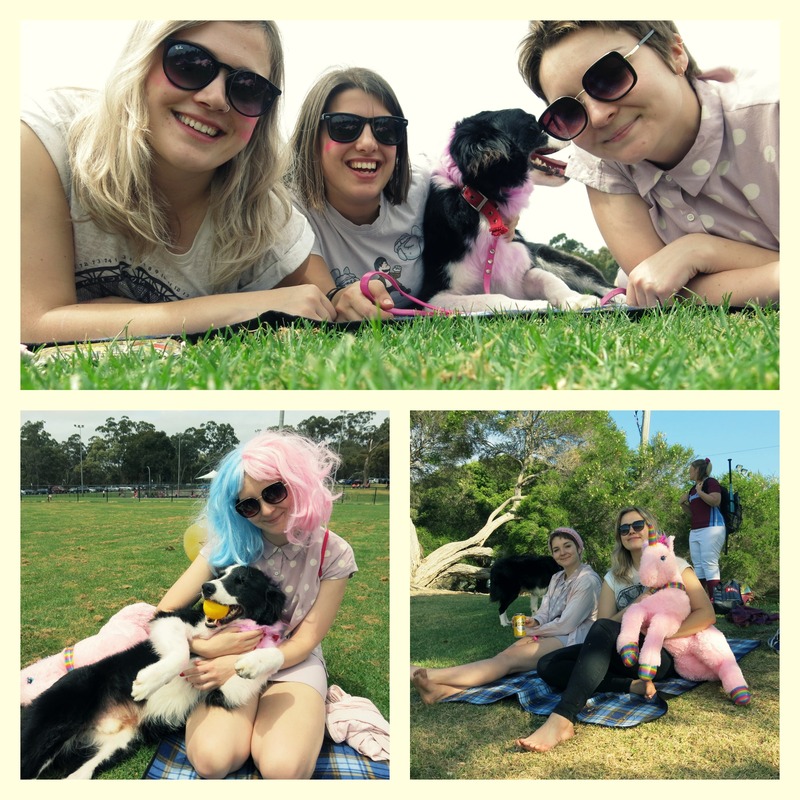 As well being a day for ball games, the day was also a fundraiser for Breast Cancer Awareness, so as well as watching softball we also got to fill our faces with pink cupcakes, pink sweets and brownies whilst petting Monica’s dog with aptly dyed pink hair and Ash’s pet unicorn Jerome. And you can’t get much pinker than Jerome. 1) The ball must be hit within a certain, triangular shaped zone, if it is not hit in that zone it is a foul ball. If you hit a foul ball it will be counted as a strike, but only for the first two strikes. You can’t go out for hitting a foul ball (unless someone catches it). 2) The whole team doesn’t go out if you manage to catch the ball with one hand! I’m sure many children’s hands have taken a beaten because of this rule during school P.E lessons. Catching the opposing team’s ball in two hands whilst playing rounders meant that person was out, in one hand and their whole team was out and you were the hero of that P.E lesson! No such easy victory in softball I’m afraid. 3) It looks cooler than rounders. For starters you’re not having to make do with an old cricket ball, instead you have a much larger, unique softball. You’re also not hitting the ball with a wooden stick! Proper balls means big bats!Big bats and balls means helmets. Me, Sar, Rocky, Ash and Jerome supporting the Syndal Softball Club! 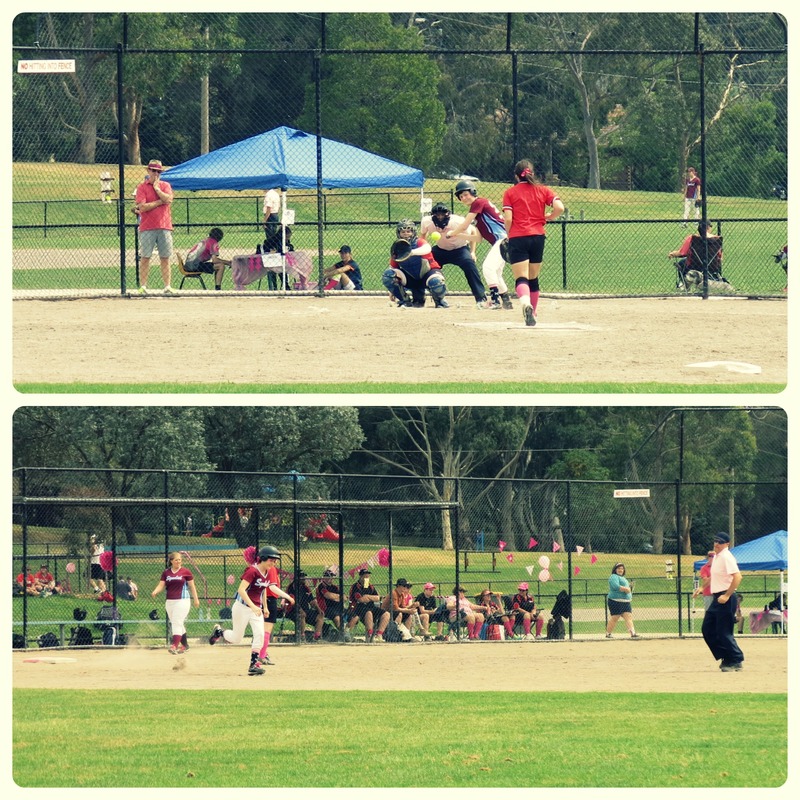 So I got to understand the rules of softball better, eat cake and sausages in slices of bread (such an Aussie thing) get further afield from Melbourne and see how the Aussie locals spends their Sunday in burbs off Melbourne! Oh and we helped raise money for a good cause! A good day. 16 down, just a few more to go….